Letters to the Editor: KEVIN RICHARDSON , THE LION WHISPERER! 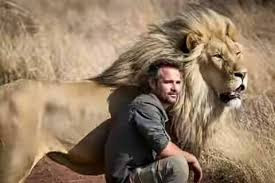 Meet Kevin Richardson,known as "The Lion Whisperer" from Kevin Richardson Wildlife Sanctuary near Pretoria South Africa. 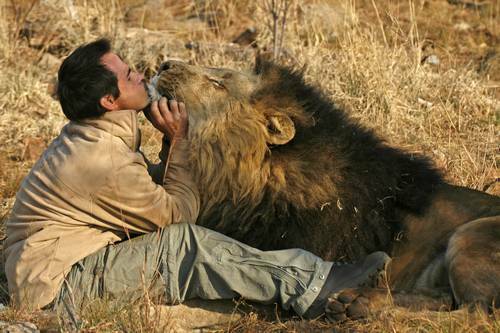 He has slept next to, fed, and lived with lions. He has also worked with cheetahs, leopards, and hyenas. He prefers lions to any other big cat. His relationship with the animals, however, has not been an instant one. He has known all of the lions he works with since they were cubs. He still continues his bond with Tau and Napoleon, the lion brothers who were his introduction to big cats. Despite his prior involvement in lion club petting, Richardson rejects the traditional notion that lions should be mastered and dominated, preferring to develop a relationship over time, based on love and respect. "A lion is not a possession; it's a sentient being, so you must pay attention and develop your bond like with any relationship Sources: 60 Minutes, Wikipedia.